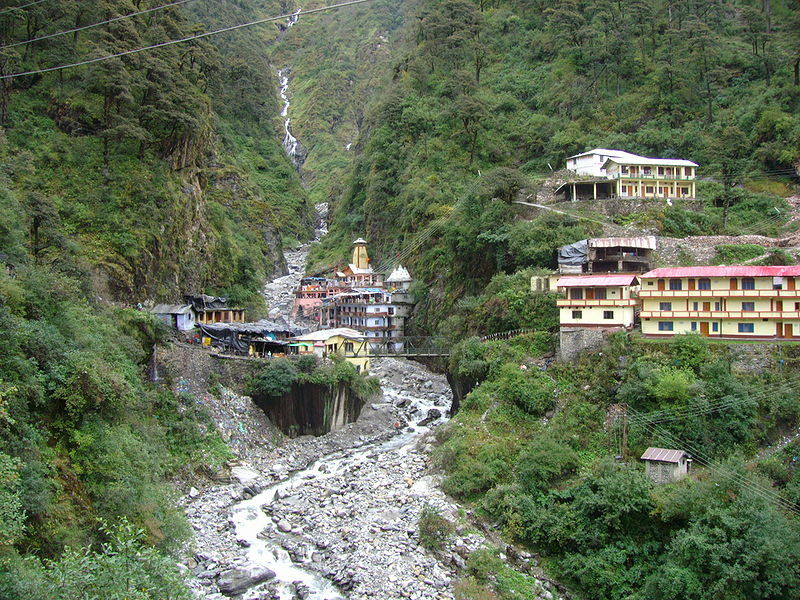 One of the four sacred dhams of Uttarakhand, and revered in Hindu mythology, Yamunotri is the source of the river Yamuna. About 220 Km from Rishikesh and 149 Km from Tehri, the picturesque shrine of Yamunotri is located at an altitude of 3,235 m. Being one of the four Char dhams it is a place of paramount religious importance for the devout Hindus. The 19th century temple of Goddess Yamuna, a number of thermal springs and Divya Shila (Rock pillar) are prime attractions. 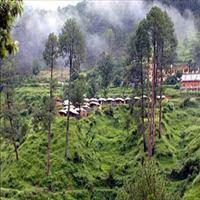 Moreover, the place is full with scenic spot and panoramic views of Himalayas. Yamunotri is located in the Uttarkashi district of the northern state of Uttaranchal. It is very close to the Indo-Chinese border and is surrounded by the Himalayan ranges on all sides. 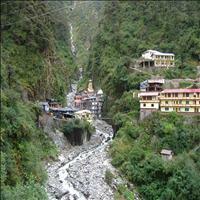 Yamunotri, lies near the Bandar punch Mountain, which is 6315 m high and lies to the north. The glacial lake of Saptarishi Kund, on the Kalind Parbat, at an altitude of 4421 m, is the real source of the Yamuna River. 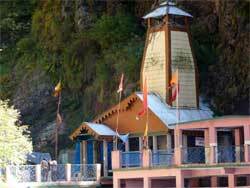 Yamunotri is at a distance of 278 km from Dehradun, 236 km from Rishikesh, 176 km from Chamba, and 21 km from Sanya Chatti. This temple was built in the 19th century by a descendent of the Jaipur royal family. 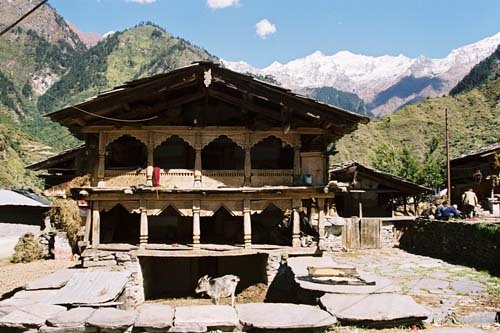 It is said that this temple was destroyed twice by landslides and was reconstructed again in the 20th century. 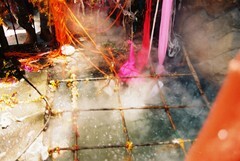 Due to heavy snowfall this temple is closed from November to May. Close to the Yamuna Devi temple, there are many hot water springs of which Surya Kund is the most important. In this spring the water is so hot that people boil rice and potatoes here by tying them in a cloth and immersing them in the water for a while. 36 km before Hanuman Chatti, Badkot is a pretty village. All facilities are available here. An ancient temple is located here. 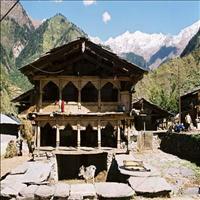 This place is 49 km from Yamunotri. 10 km from Yamunotri, this is an extremely difficult journey covered with ice. This is the actual place where Yamuna rises. 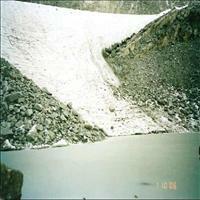 The water of the glaciers gathers in this lake. The colour of the water here is a deep blue. On the banks of the lake are naturally carved slate stones. The rare Brahma Lotus grows here. 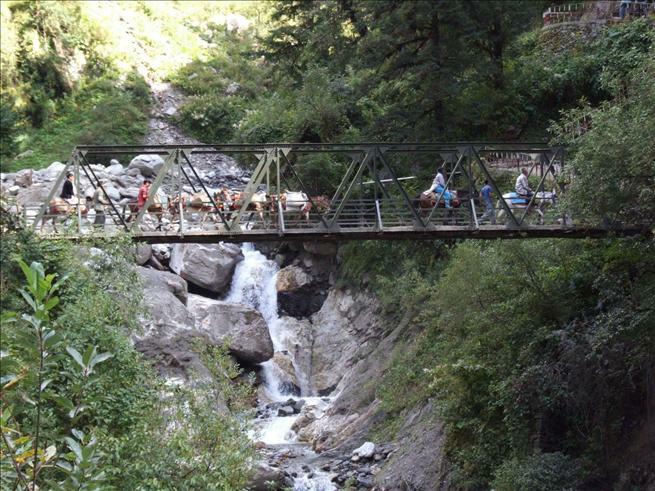 7 km from Yamunotri, this is another place where there are hot water springs. Many hotels and lodges are available. This is the best place for food in the valley. One road from here leads to the last village of Kharsali. 1 km from Janaki Chatti the old temples here are worth visiting. The carved stones on the walls of houses and the woodwork are amazing. The temple here is four storied. 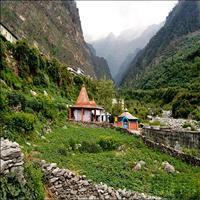 This is the last bus stop for Yamunotri. There is a Hanuman temple here. 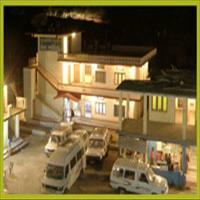 Government guesthouses and hotels are available here. Horses and ponies are also hired for further journeys.